As most television buffs know, Ekta Kapoor has brought back her iconic show again on Star Plus with a new story and a fresh star cast. So what is so special in Kasauti Zindagi Ki 2 that has impressed me and the audiences alike? Kasauti zindagi ki 2 was well publicized through advertisements in most channels, banners and events. The buzz around the show definitely upped the audience curiosity and eagerness on watching the show. The trailer too was well edited with awesome location, music and also has a surprise on who is going to play the main negative character. For most people who have watched Kasauti Zindagi Ki for seven long years, watching it come alive again after so many years brings back fond memories they have witnessed while watching the show. 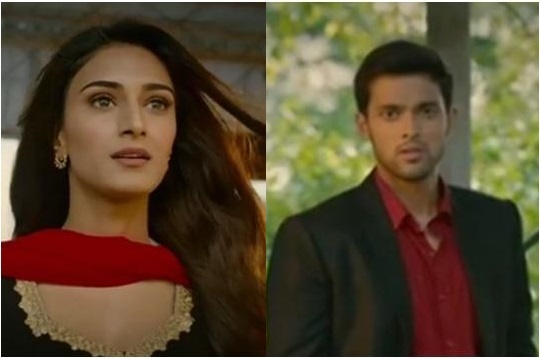 The show has a fresh star cast and the new Anurag and Prerna look good and emote well on screen. Other characters too fit their roles perfectly. The location and sets are also very good and make each scene look great. I am glad the makers kept the original theme music intact as that was the essence of Kasauti Zindagi Ki. The music touches your heart and you start feeling for the characters. I stopped watching several television serials when they became predictable and had no surprise element or anything new to offer. But the unpredictability, twists and turns that most Ekta Kapoor’s shows have has made me not miss even a single episode. In total, I like this reboot version of Kasauti Zindagi Ki. So friends, this was my review on Kasauti Zindagi Ki 2. Do share your views in the comments below. If you like this post please post a comment in the comment section and share this post through your social media channels. Like us on Facebook, Twitter, Instagram and Google plus for updates on new posts.